A big hello to all our Today’s Planners. It’s been a very busy time for us at Today’s Plan, so we thought we would send you through what we have been up to. Firstly, a big thank you to all that dropped by our booth at the Tour Down Under expo. It was great to meet many of you in person and hear your stories and goals. The positive reception of the Today’s Plan system by both the public, media and industry was fantastic and we really appreciate all the feedback we have received. In case you missed it, check out the great review of Today’s Plan on BikeRadar. We are pleased to announce that our integration with Magellan/Mio has launched. Users with a Cyclo 505 can now automatically upload their data files directly to Today’s Plan over their home WiFi connection. For all Magellan users, any files you upload to MagellanCyclo.com can now be automatically sent through to Today’s Plan. Simply log into MagellanCyclo and follow the links to the synchronisation preferences where you can setup the link through to us. Are you in Canberra on the AMB100 weekend? Rockytrail Entertainment will be hosting a Crocodile Trophy presentation night where they will be talking about the 2015 event. Today’s Plan will be there, with 2014 best Aussie rider Andrew Hall answering your Croc questions. Stromlo Forest Park, 7 February from 6 – 8pm. We recently launched our Garmin workouts sync functionality which enables you to get your Today’s Plan training session on your Garmin device. It’s turned into a really popular feature and if you have not seen it in action you can check it on our YouTube channel. While at Tour Down Under we were fortunate enough to get ride data from three of Australia’s top riders – Jack Haig, Steele Von Hoff and Neil van der Ploeg. You can check out their heart rate and power stats for each of the six stages. Coach Fenz is preparing a detailed analysis of this data so stay tuned! We are in the final beta-testing phase of our new Android app. The app is a fully functional cycle computer, supporting both ANT+ and Bluetooth sensors (power, heart and cadence). It also gives you details of both your recent rides and upcoming workouts. If you are interested in trying out the app and joining the beta testing program send us an email to support@todaysplan.com.au and we will hook you up. This month’s rider testimonial is from well known Sydney rider Mike Israel. 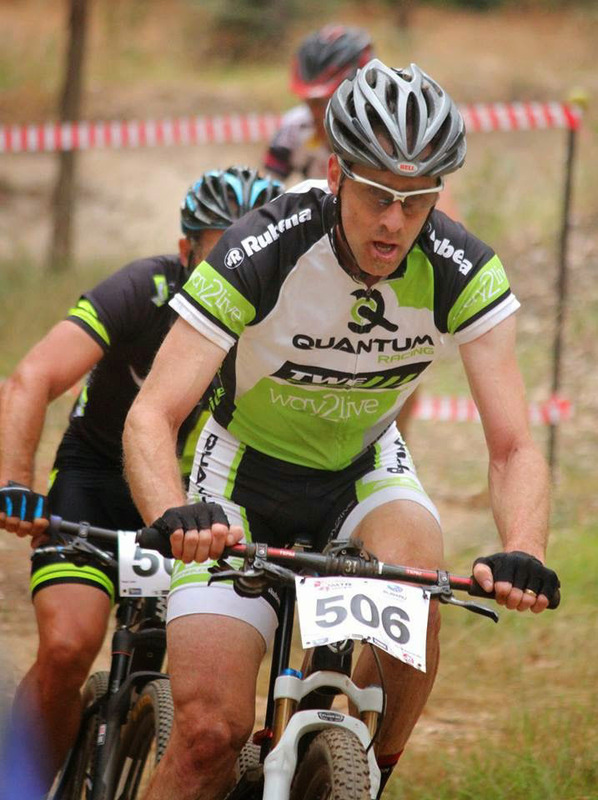 Mike sent through the following comments after he raced XCO in Pemberton this weekend. He finished fifth on Saturday and followed up with a second on Sunday. Just thought I would drop you a short note to let you know how much I value Today’s Plan web site in terms of training for a specific event. I am certain that the training I followed over the last three weeks was a major contributor to my excellent results on the weekend and I feel like there is still plenty of improvement to come if I continue down this path of training. It has completely changed the way I look at training and competition, but also the way I view myself as a cyclist who is more than capable of competing at a national level. Thanks Mike and congratulations on your excellent result. Stay tuned – we have lots more in progress for February and we can’t wait to get some great new features up and out the door to you all.